Heidi arrived on our property in 2014. 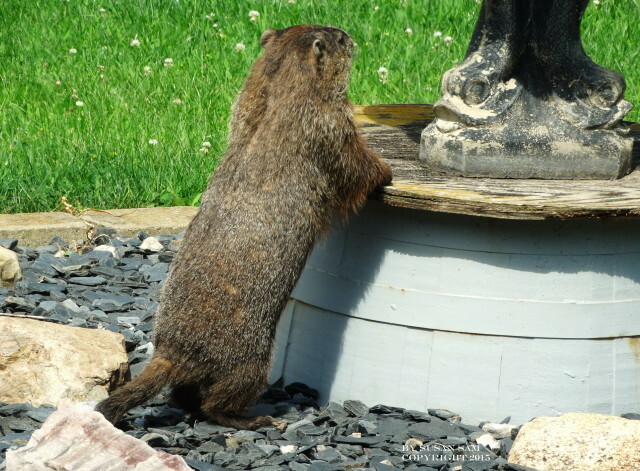 In 2015, she became the mate of groundhog Luke Groundwalker. 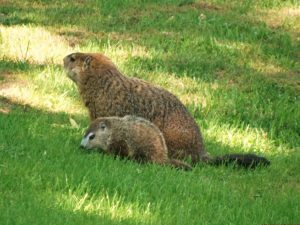 Heidi had seven babies which were brought above ground on May 23, 2015. We followed Heidi and Luke as a mated couple and as parents. 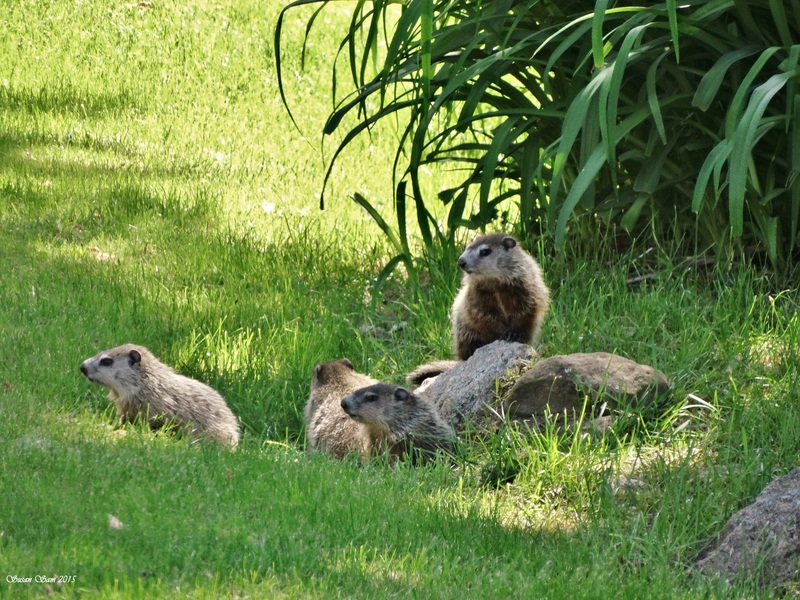 A glimpse into their family life is seen in photographs and video. 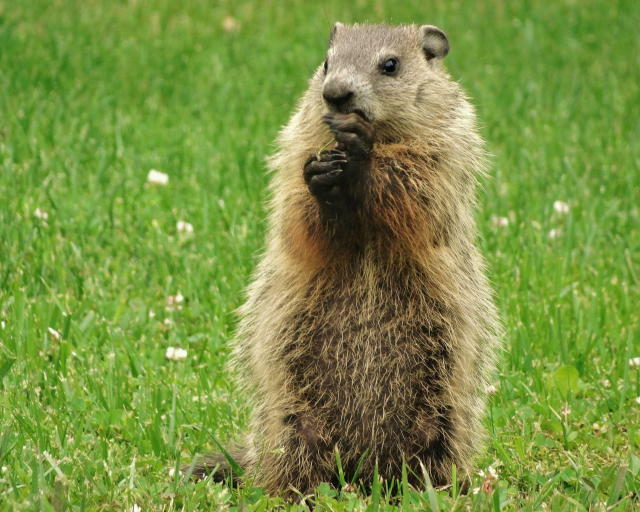 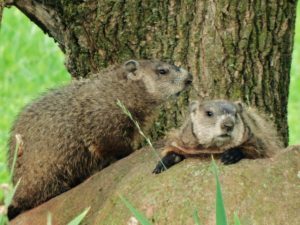 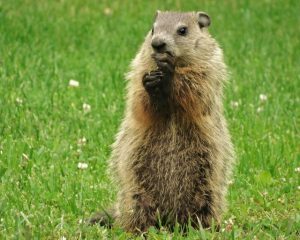 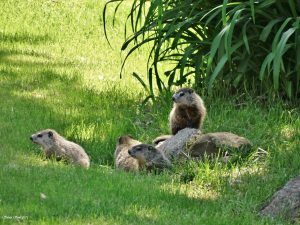 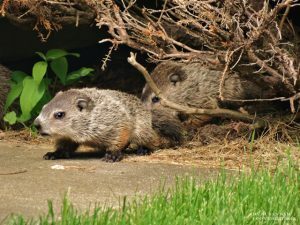 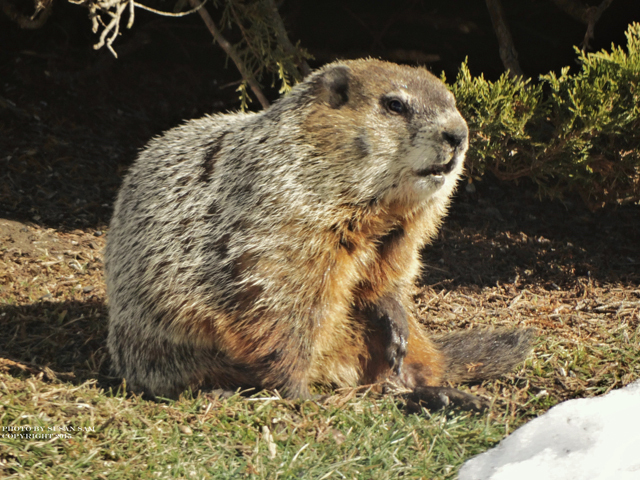 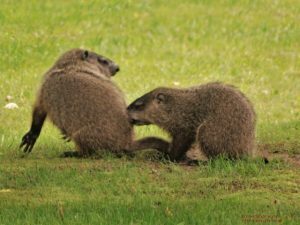 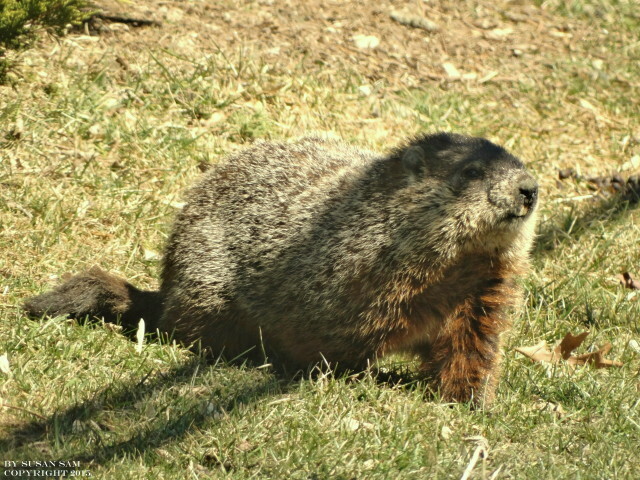 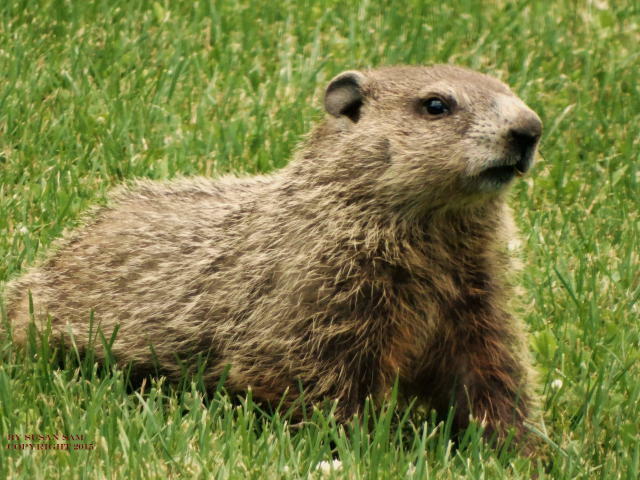 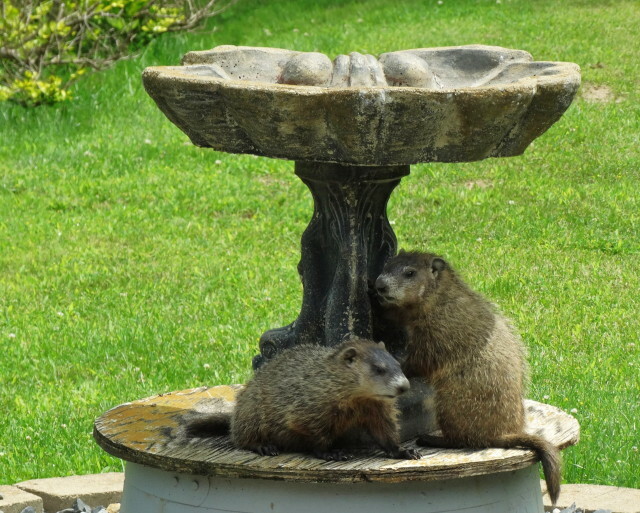 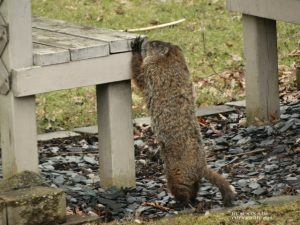 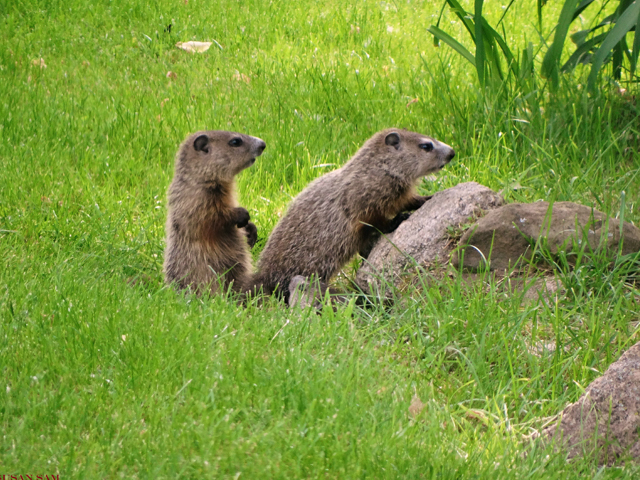 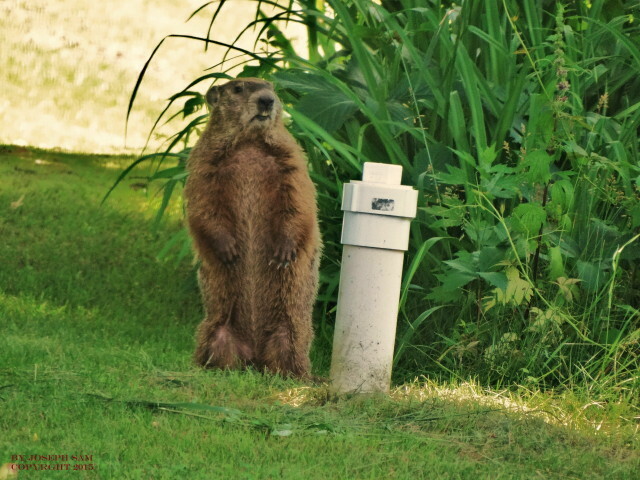 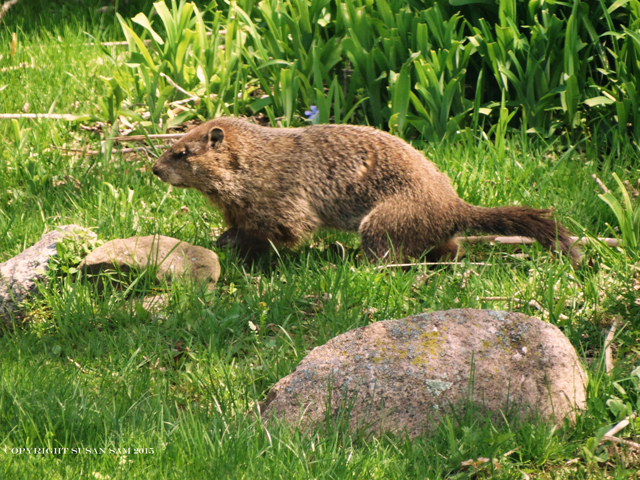 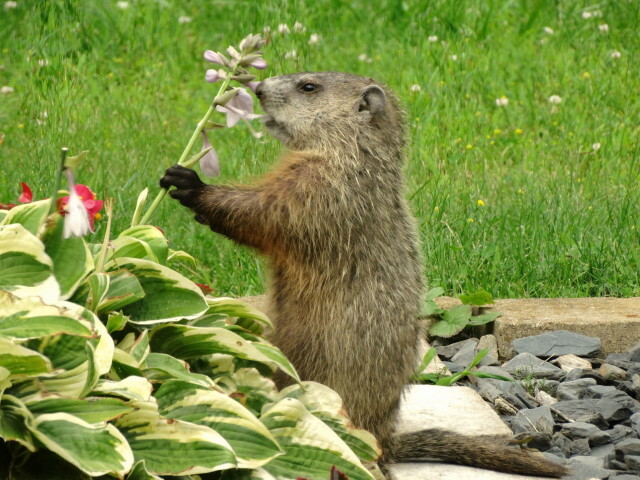 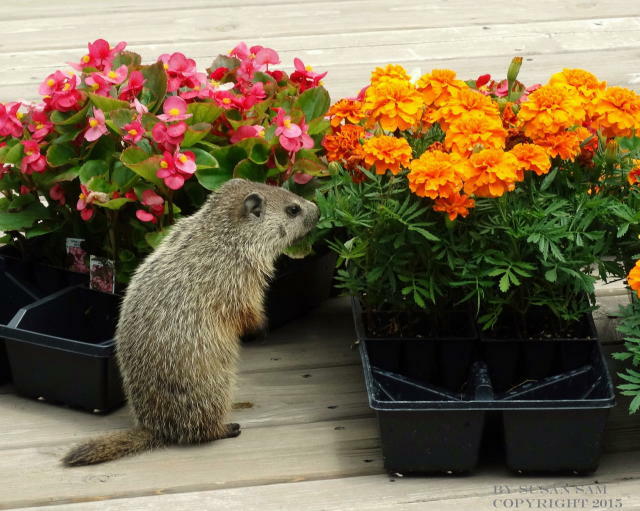 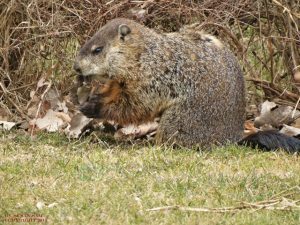 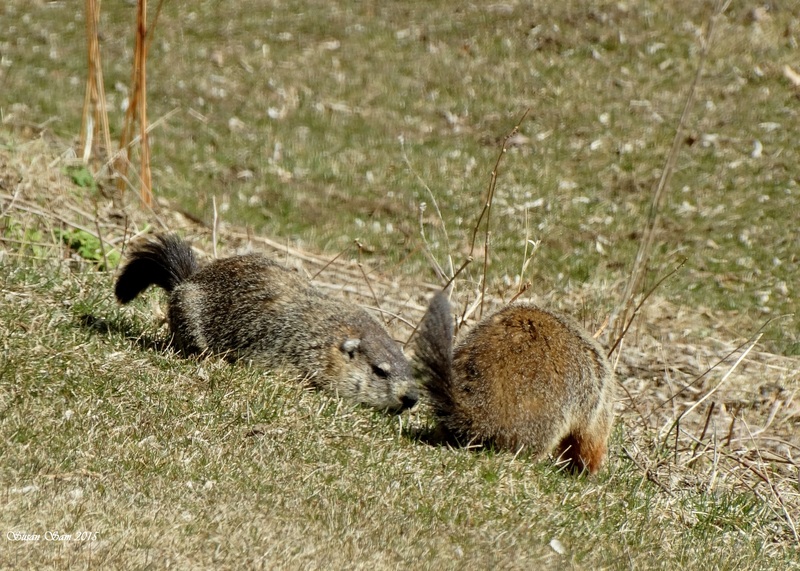 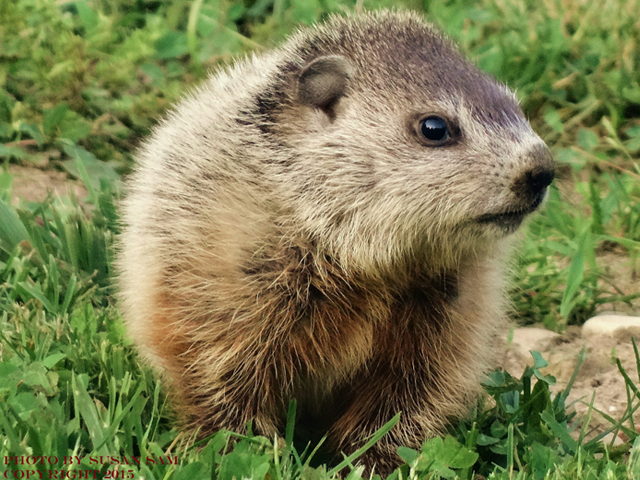 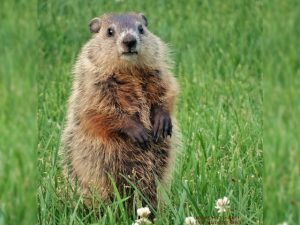 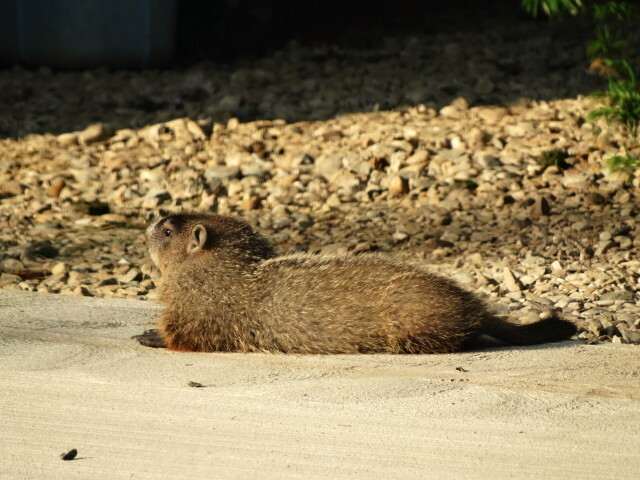 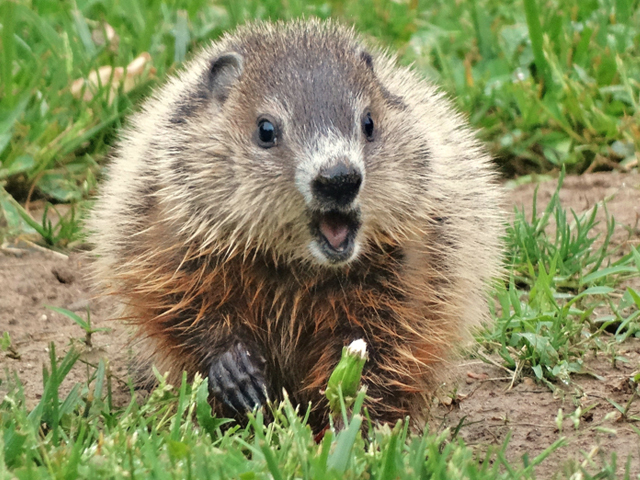 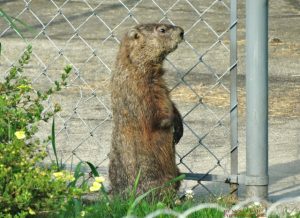 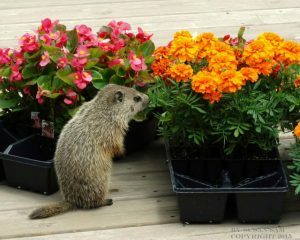 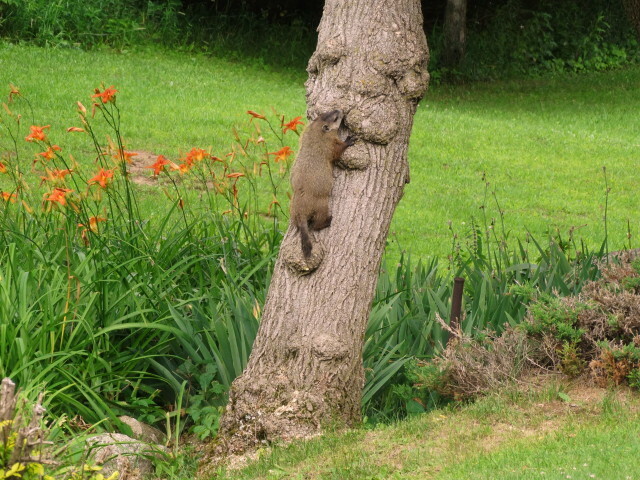 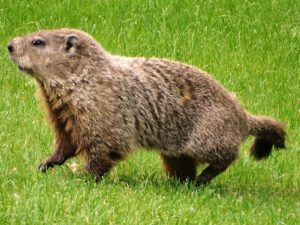 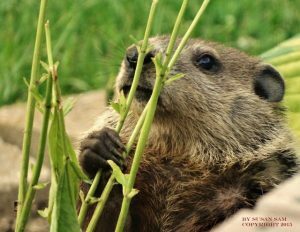 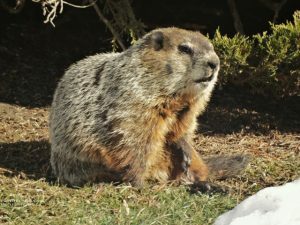 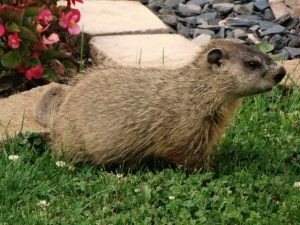 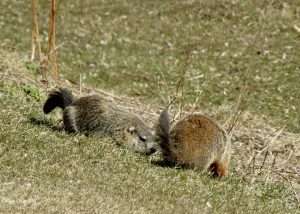 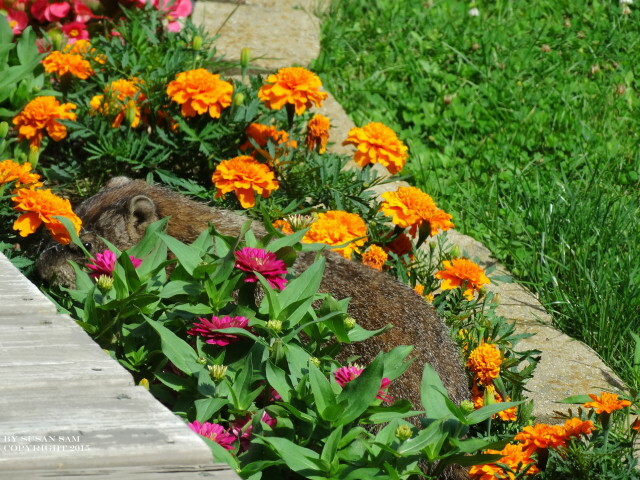 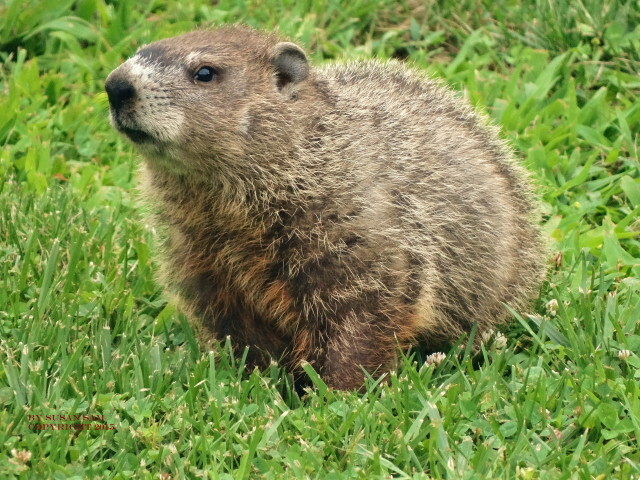 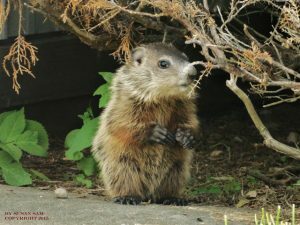 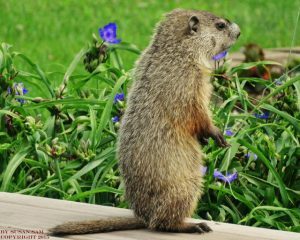 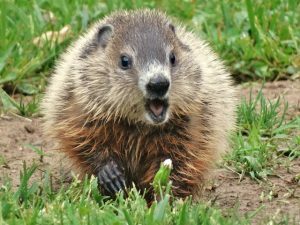 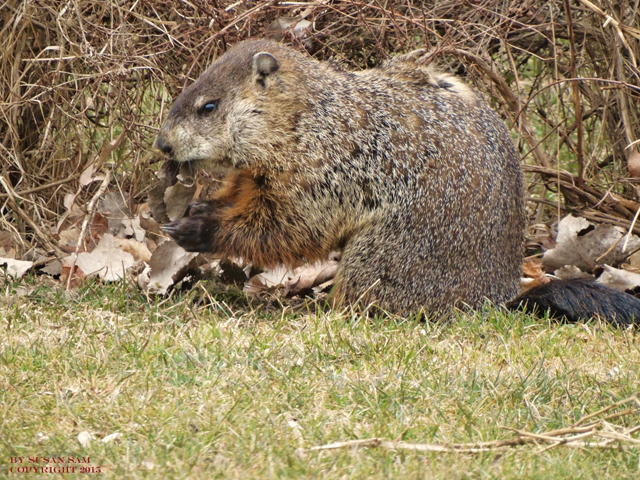 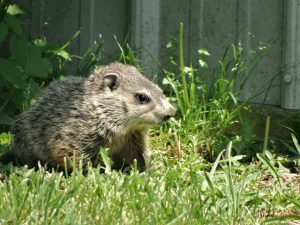 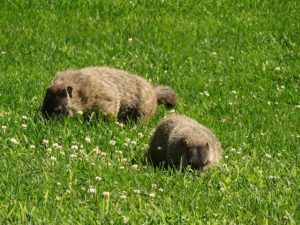 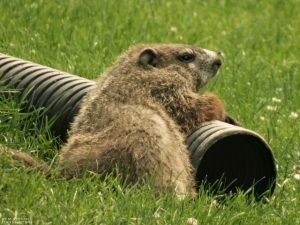 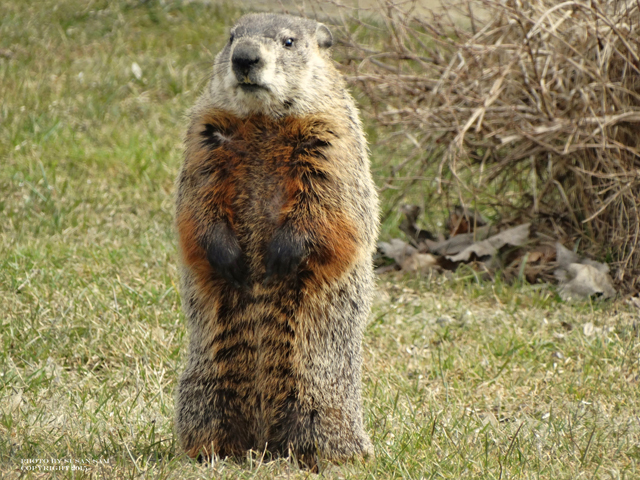 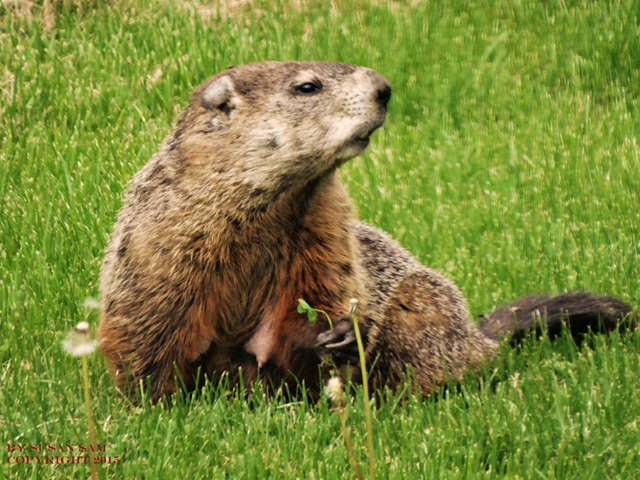 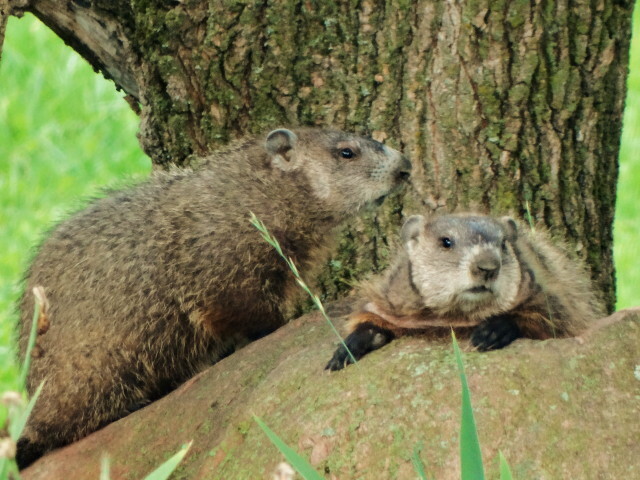 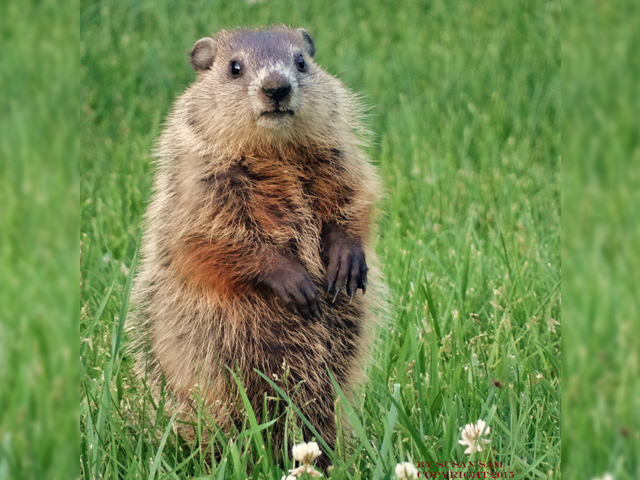 As we’ve observed with other mated pairs on our property, the relationship between mated groundhogs continues after the mating season, (assuming their survival) contrary to published literature. 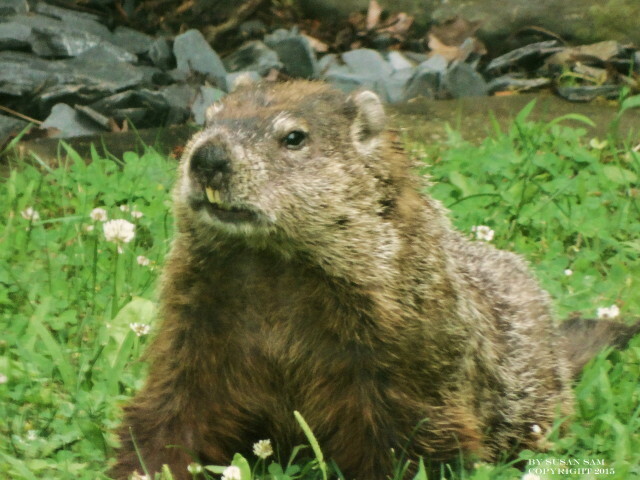 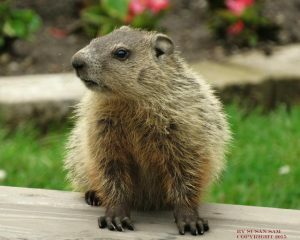 Additional to Luke & Heidi, another grown chuck, named Raggedy, has been observed infrequently since March. 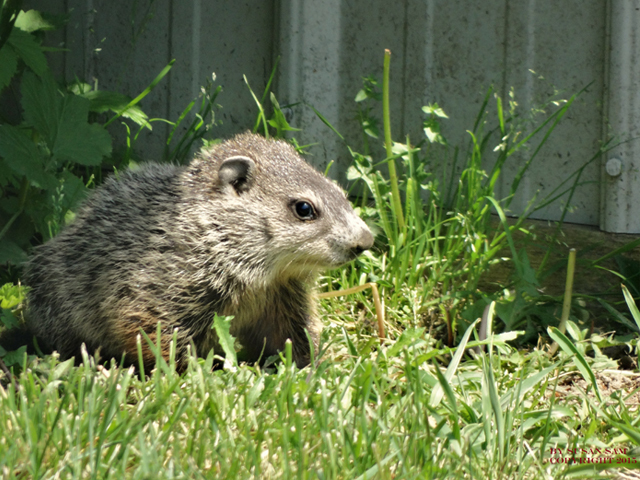 Raggedy has a limp caused by a damaged right foot. Gender is still uncertain but Raggedy is thought to be a male. 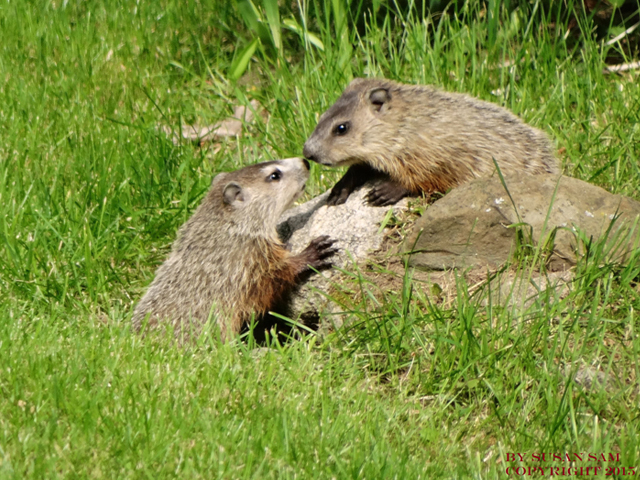 In July, interactions between Raggedy and some of Heidi and Luke’s offspring were captured on video.